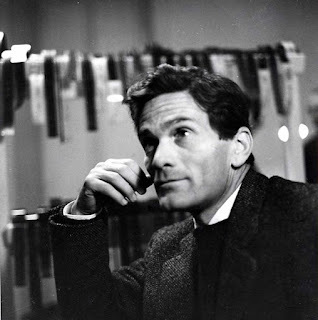 The Italian government finally admitted that it needed help to save the Leaning Tower of Pisa from collapsing on this day in 1964. There had been numerous attempts to arrest the movement of the tower, which had begun to tilt five years after construction began in 1173. One side of the tower started to sink after engineers added a second floor in 1178, when the mistake of setting a foundation just three metres deep in weak, unstable soil became clear. Construction was halted. In fact, in part because of a series of military conflicts, it did not resume for 100 years. Additions were made to the building over the next 100 years, culminating in the completion of the bell chamber in 1372. Nothing more was done until the 19th century, when an ill-considered plan to dig a path around the base in 1838 resulted in a new increase in the tilt. Ironically, the tower might have been deliberately destroyed in the Second World War when advancing American soldiers were ordered to blow up any tall building that might have been used by German snipers, regardless of its historical importance. 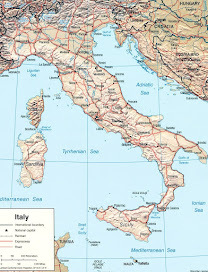 Thankfully, a German withdrawal before the Americans reached Pisa made it unnecessary. By 1964, the top of the 180ft (55m) tower was a staggering 17 feet out of alignment with the base, and studies showed that the tilt was increasing every year. The Leaning Tower had become one of Italy’s most visited tourist attractions but experts warned it was in serious danger of toppling in an earthquake or storm. Proposals to save the tower arrived in Pisa from all over the world and a multinational task force of engineers, mathematicians, and historians gathered on the Azores islands to discuss possible ways of stabilising the structure. Yet it was 44 years before it was announced that the Leaning Tower had stopped moving for the first time in its history. Stabilisation studies took more than two decades to complete, in which time the tower remained open to the public. Two attempts to slow the tilt's progress - in 1966 and 1985 - had to be aborted after drilling caused the lean to increase. The government decided to close the tower in 1990 through concerns for public safety. 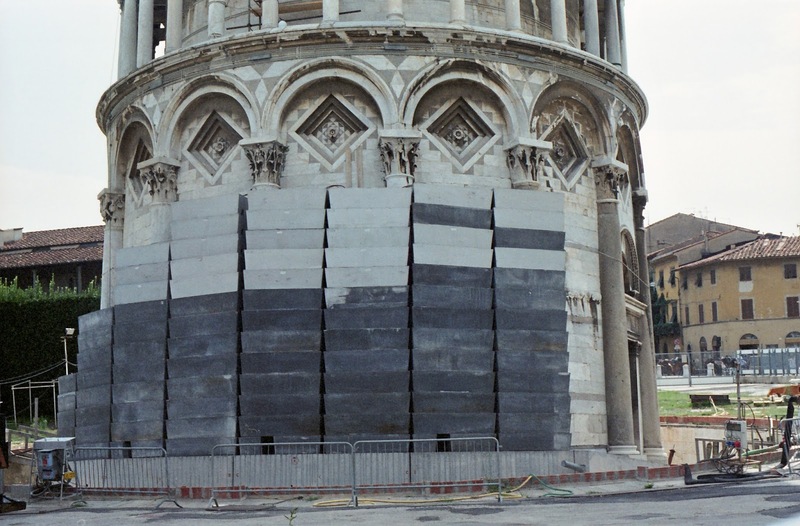 Worries about a collapse increased after disaster struck the 236ft (72m) Civic Tower in Pavia in 1989, killing four people and injuring 15 when it suddenly fell to the ground. In 1992, in an effort to stabilise the Pisa tower at least temporarily, plastic-coated steel tendons were built around the tower up to the second story. A concrete foundation was built around the tower in which counterweights were placed on the north side. The use of these weights lessened the tilt by nearly an inch. Hovever, three years later the commission overseeing the restoration decided they wanted to replace the counterweights with underground cables, on the grounds that they were unsightly. But when engineers froze the ground with liquid nitrogen in preparation, there was an alarming increase in the tilt and project was called off. Amid fears that a collapse might be imminent, the bells in the tower were removed and cables were attached around the third level, anchored to the ground several hundred meters away. Apartments and houses in the path of the tower were vacated for safety. Finally, in 1999, a solution was found that actually worked, which involved removing 38 cubic metres (1,342 cubic feet) of soil from underneath the raised north side. The soil was removed at a very slow pace, no more than a gallon or two a day, with a massive cable harness holding the tower in the event of a sudden destabilisation. At the end of the process, which took more than a year to complete, the tower had been straightened by 45 centimetres (17.7 inches), returning to its position before the path at the base was dug in 1838. It was never intended to straighten the tower completely. After expects were satisfied the movement had been arrested, the tower was reopened to the public in December 2001. 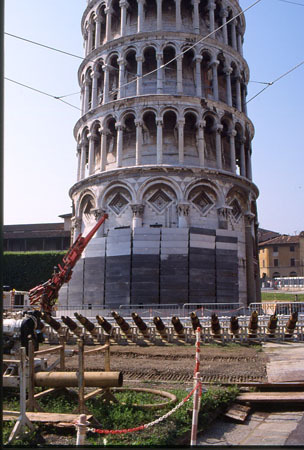 It is thought the work will extend the life of the Leaning Tower by 300 years. An inspection in 2008 confirmed that the tower's movement had stopped. 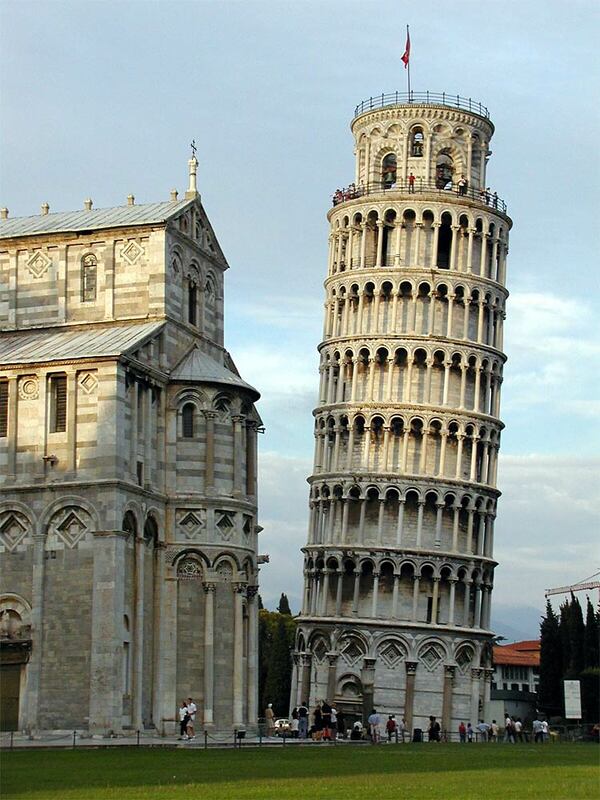 The Leaning Tower may be the most famous tilting building in the world but it is by no means unique. 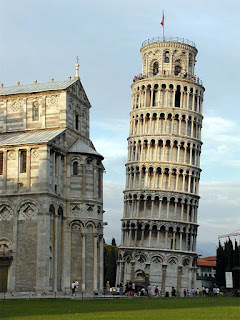 There are thought to be around 75 towers around the world that have failed to stand up straight, including another two in Pisa - the campanile - bell towers - of the churches of San Michele degli Scalzi and San Nicola. Venice has four - the Campanile of San Giorgio dei Greci in Castello, the Campanile of Santo Stefano in San Marco and the Campanile of St Mark's itself, plus the Campanile of San Martino on the island of Burano. 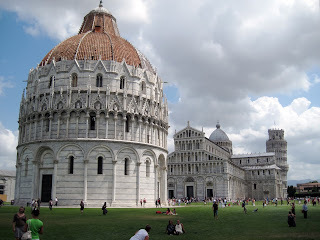 Many visitors to Pisa confine themselves to the Campo dei Miracoli, of which the Leaning Tower is part, touring the handsome Romanesque cathedral and the equally impressive baptistry and then moving on. 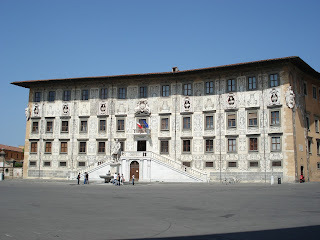 But there is much more to Pisa than the Leaning Tower. 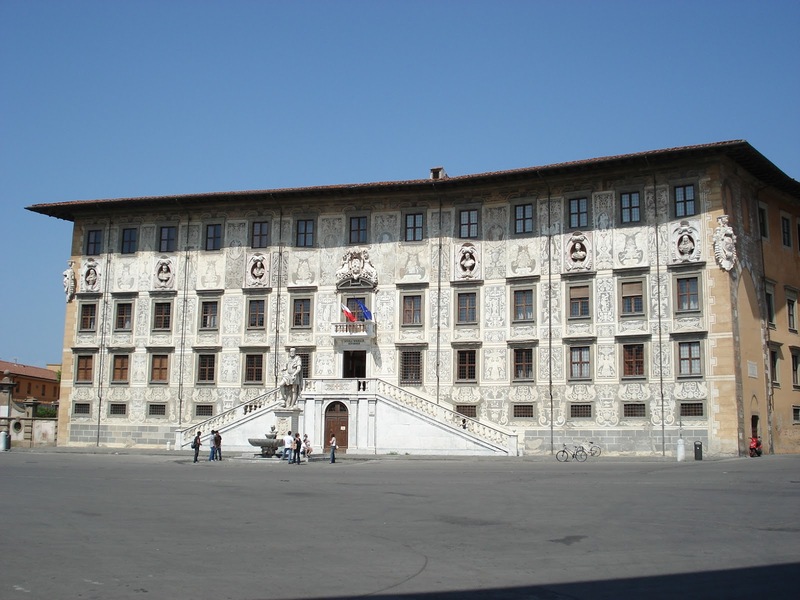 The University of Pisa remains one of the most prestigious in Italy, while the student population ensures a vibrant cafe and bar scene. 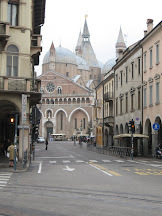 There is also much to see in the way of Romanesque buildings, Gothic churches and Renaissance piazzas. 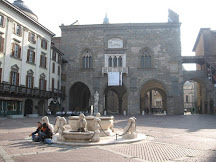 Interesting churches include Santa Maria della Spina, which sits next to the Arno river, while Piazza dei Cavalieri is notable for the Palazzo della Carovana, built by Giorgio Vasari in 1564 as the headquarters for the Knights of St Stephen. 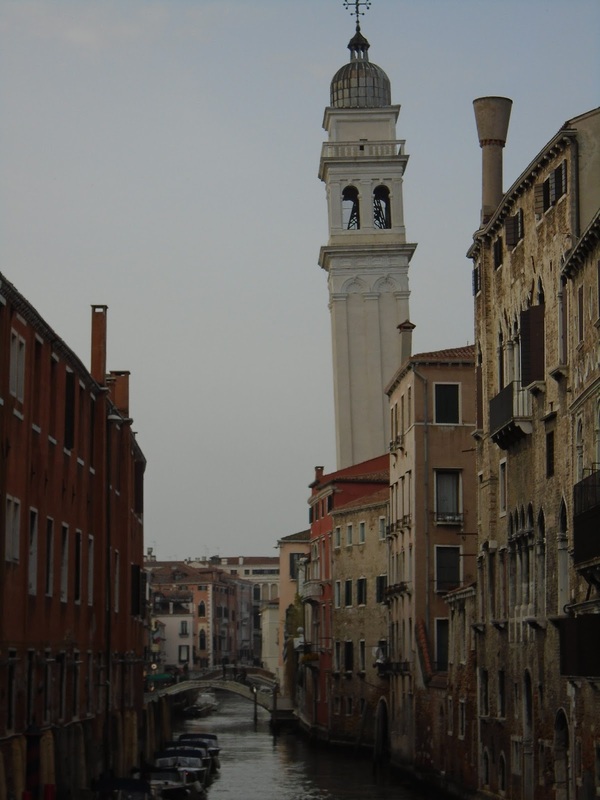 The church of San Giorgio dei Greci in the sestiere of Castello was built in the 16th century to be the focal point of the Greek community in Venice. 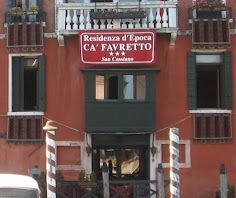 There had been close ties between Venice and the Byzantine world for centuries but it was not until 1539, after protracted negotiations, that the papacy allowed the construction of the church of San Giorgio. 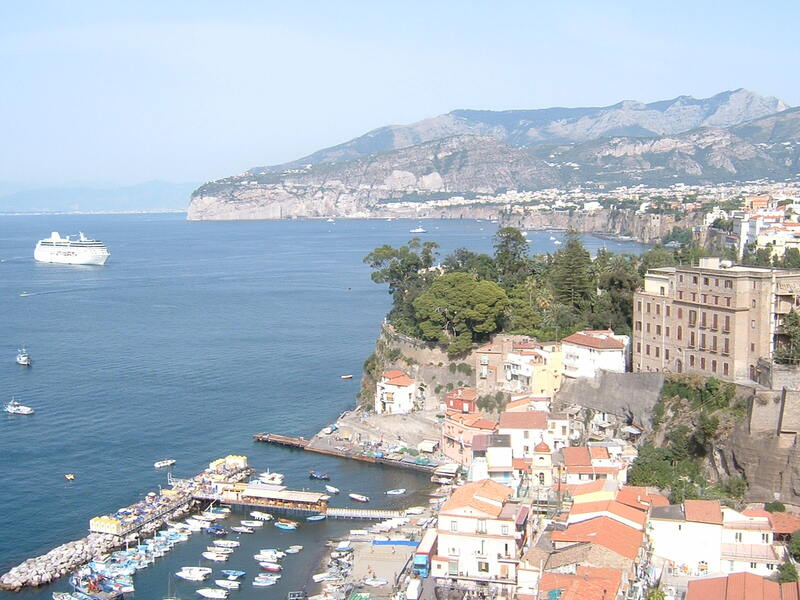 Construction began in 1548, with the Campanile added in 1592. The church is popular for its peaceful inner courtyard and for the beautiful Greek icons inside.